In addition to mechanical deburring, turbo-abrasive machining provides benefits including isotropic surfaces, improved profiles, and beneficial compressive stress. Turbo-Abrasive Machining [TAM] is a mechanical deburring and finishing method originally developed to automate edge finishing procedures on complex rotationally oriented and symmetrical aerospace engine components. 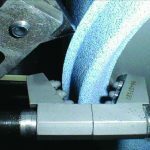 Since its inception this method of utilizing fluidized abrasive materials has facilitated significant reductions in the amount of manual intervention required to deburr large components. 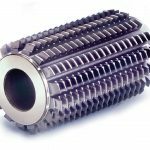 Additionally, the process has also proved to be useful in edge and surface finishing a wide variety of other non-rotational components by incorporating these components into fixturing systems. The advantages of this method go beyond the simple removal or attenuation of burrs. 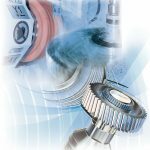 The method is also capable of producing surface conditions at these critical edge areas that contribute to increased service life and functionality of parts that are severely stressed in service. Among these advantages are: 1) the creation of isotropic surfaces; 2) the replacement of positively skewed surface profiles with negative or neutral skews and; 3) the development of beneficial compressive stress. Deburring and surface conditioning of complex machined parts is one of the most troublesome problems faced by the metalworking industry. In many cases parts with complex geometric forms which are manufactured with very sophisticated computer-controlled equipment are deburred, edge finished, and surface conditioned with manual or hand-held power tools. This labor-intensive manual handling often has a considerable negative impact on manufacturing process flow, productivity, and uniformity of features, as well as part-to-part and lot-to-lot uniformity. Often employees involved in these types of operations have a high incidence of repetitive motion injury. To say that the cost and long-term liability associated with this type of injury is substantial would be an understatement. 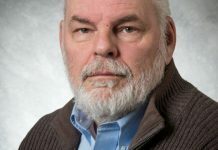 It has been a long-standing, industry-wide paradox that the final edge and surface-conditioning operations utilized on many types of precision parts have nowhere near the level of sophistication of the preceding machining operations. 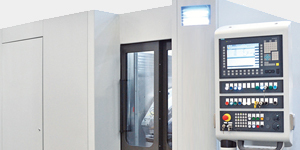 It flies in the face of logic to perform deburring and surface finishing operations carelessly with unsophisticated and uncontrolled methods on high-value parts when there has been an extensive investment made to produce a precision and uniform machined part. Manual methods can be very tedious and time-consuming. 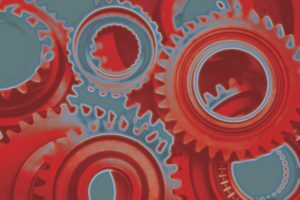 The workflow interruption and production bottlenecks that result are frequently one of the most significant headaches that manufacturing managers must confront. 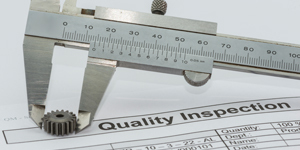 The total cost involved in performing manual finishing often defy quantification. 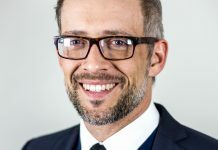 As these types of processes are seldom capital intensive, they frequently escape the budget scrutiny they deserve. Studies sponsored by the Society of Manufacturing Engineers some years ago point out that although many manufacturers had not established an adequate method for determining finishing costs, the operating and consumable costs associated with manual finishing methods were a surprisingly large fraction of the total manufacturing budget. Additionally, it is becoming increasingly clear that edge and surface finish effects can now be produced on parts that contribute substantially to their performance, as well as wear and fatigue resistance values. 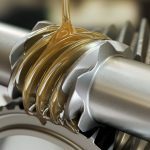 Mass-finishing techniques, such as barrel and vibratory finishing, have long been recognized as the primary tools for metal part deburring and surface conditioning and, as such, have wide application throughout industry. As metalworking techniques have evolved in recent years, it seems that an increasing number of parts require more sophisticated deburring and surface conditioning methods. Many parts routinely manufactured now have size and shape considerations that preclude the use of conventional mass-media finishing techniques. 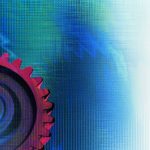 Additionally, manufacturers of high-value parts now prefer manufacturing methodologies in which parts are processed singly and continuously rather than in batches, obviating the possibility that large numbers of parts will be scrapped or reworked due to human error or process maladjustment. 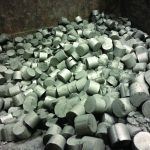 Another important factor in evaluating current mass-finishing processes is their wet waste effluent stream, the treatment cost of which often approaches the cost of the actual deburring or surface conditioning operations themselves. 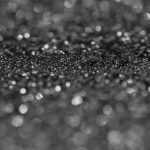 Industry has long had a strong incentive to seek out mass-finishing methods that could achieve surface-finish objectives in a dry abrasive operation. In contrast with conventional methods, turbo-abrasive finishing (TAM) operations are completely dry and produce surface effects rapidly in single-part operations. 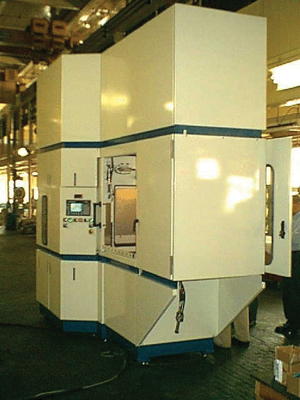 TAM processes were developed primarily for automating deburring and surface conditioning procedures for complex rotating components. As an automated machining/finishing process, TAM is designed to address the uniformity and productivity concerns previously noted. Repetitive motion injury problems can be minimized or eliminated as manual methods are replaced with automated machining procedures. 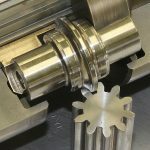 Substantial quality and uniformity improvements can be made in precision parts as the “art” in manual deburring is removed and replaced with the “science” of a controllable and repeatable machining sequence. 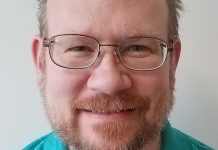 The time and cost of having substantial work-in-progress delays, production bottlenecks, non-conforming product reviews, rework, and scrap can be reduced dramatically. Manual processes consuming many hours are reduced to automated machining cycles of only a few minutes. 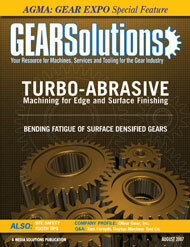 TAM machines could be likened to free-abrasive turning centers. They utilize fluidized bed technology to suspend abrasive materials in a specially designed chamber. Parts interface with the abrasive material on a continuous basis by having part surfaces exposed and interacted with the abrasive bed by high-speed rotational or oscillational movement. 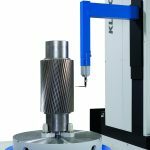 This combination of abrasive envelopment and high-speed rotational contact can produce important functional surface conditioning effects and deburring and radius formation very rapidly. Unlike buff, brush, belt, and polish methods, or even robotic deburring, abrasive operations on rotating components are performed on all features of the part simultaneously. This produces a feature-to-feature and part-to-part uniformity that is almost impossible to duplicate by any other method. The basic concept underlying TAM operations is the placement of a rotating or oscillating metal component or workpiece in a low-speed, air-abrasive stream (fluidized bed), which is contained by a specially designed chamber. Surface finishes and effects can be generated on the entire exterior of complex parts, and especially fixtured nonrotational components. (Simple interior channels on some parts can also be processed.) Various surface-finish effects can be obtained by controlling variables of the process such as rotational part speed, part positioning, cycle times, abrasive particle size and characteristics, and others. Additional surface effects can be developed by utilizing processes that make use of sequential abrasive and/or polishing media combinations. Several machine designs have been developed that can accommodate parts as small as two to three in. (50 mm) in diameter to very large and cumbersome rotational parts up to four ft (1,200 mm) in diameter and larger. Surface-finish effects in TAM are generated by the high peripheral speed of rotating parts and the large number and intensity of abrasive particle to part surface contacts or impacts in a given unit of time (200-500 per mm2/sec or 129,000-323,000 per in2/sec). These factors make this equipment capable of generating one of the highest rates of metal removal to be found in any type of free abrasive surface-finishing operation today. Yet with proper media selection and process adjustments, very refined finishes can be achieved. 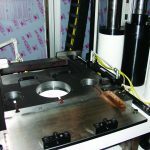 Parts with an initial surface roughness profile of two to five mm Ra (200 microinch Ra) have been reduced to 0.2 to 0.4 mm Ra (seven-15 microinch Ra) in a single operation in time cycles of only a few minutes. It should be noted that surface-finish effects developed from this process depart significantly from those obtained from air or wheel blasting. TAM processes can produce much more refined surfaces by virtue of the fact that the rotational movement of parts processed develop a very fine finish pattern and a much more level surface profile than is possible from pressure and impact methods. 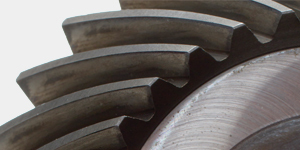 A very important functional aspect of TAM technology is its ability to develop needed surface finishes in a low-temperature operation (in contrast with conventional wheel and belt grinding methods), with no phase shift or structural changes in the surface layer of the metal. 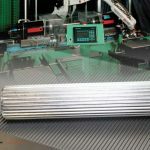 A further feature of the process is that it produces a more random pattern of surface tracks than the more linear abrasive methods such as wheel grinding or belt grinding. The nonlinear finish pattern that results often enhances the surface in such a way as to make it much more receptive as a bonding substrate for subsequent coating and even plating operations. Is TAM Finishing or Machining? Answer: It is both. 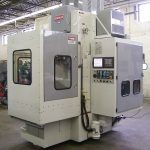 TAM processes share characteristics common to both machining and mechanical finishing processes. A much higher degree of control is possible than is the case with conventional finishing processes. 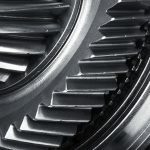 TAM processes can utilize very sophisticated computer control technologies to create processes that are custom tailored to the needs of specific parts. Like machining processes, the energy to produce the cutting or abrasive action that develops the desired surface effect arise primarily from the rotational energy of the part itself. Unlike both machining processes and manual deburring processes, with their single point of contact, TAM processes perform abrasive machining or grinding on all features of the part by abrasive media envelopment. The TAM method provides manufacturers with the ability to utilize a high-speed precision final machining and finishing method that can accommodate the current trend toward continuous processing of individual parts. Many larger and more complex rotationally oriented parts, which pose a severe challenge for conventional mechanical finishing methods, can easily be processed. 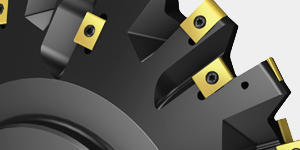 Many types of non-rotating parts can also be processed by fixturing them on disk-like fixtures. 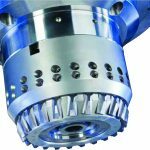 Increasingly complex parts are being fashioned in today’s four- and five-axis turning and machining centers, and TAM technology provides the method in which needed surface improvements can be made on these types of parts with a minimum of direct labor and tooling costs. TAM as a surface-conditioning method is a blend of current machining and surface-finishing technologies. 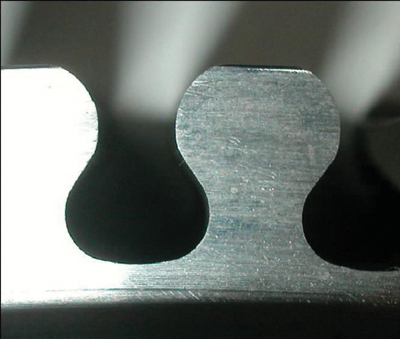 Like machining processes, the energy used to remove material from the part is concentrated in the part itself, not the abrasive material interfacing with part surfaces, and like many surface-finishing processes material removal is not accomplished by a cutting tool with a single point of contact, but by complete envelopment of the exterior areas of the part with abrasive materials. 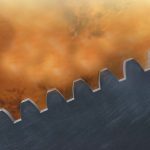 As a result deburring, edge finishing, surface blending and smoothing, and surface conditioning are performed on all exterior exposed surfaces, edges, and features of the part simultaneously. Many metal parts that are machined by being held in a rotational workholding device (for example: chucks, between centers, rotary tables, etc.) are potential candidates for TAM processes, and in many cases these final deburring and surface conditioning operations can be performed in minutes—if not in seconds. TAM processing has a number of distinguishing characteristics. Chief among these is the ability to produce surface effects very rapidly in an entirely dry abrasive environment. Although some advances have been made in dry-process mass finishing equipment in recent years, most processes still use an aqueous compound solution which generates an aqueous waste stream as a byproduct of the process, which can have significant treatment and disposal costs. 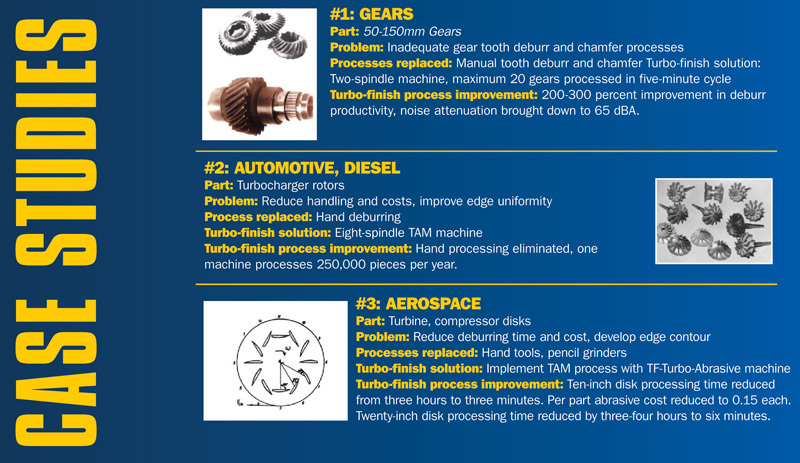 TAM processes have been developed for a wide variety of part sizes. 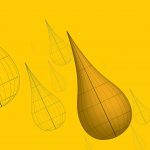 Equipment designs for processing part diameters as small as two inches (100 mm) are available, as well as designs for processing extraordinarily large, four foot (1200 mm) diameter parts. A further important feature of the process is its use of high intensity small abrasive particle contact to produce surface effects. This results in the ability to process intricate or complex part shapes easily. 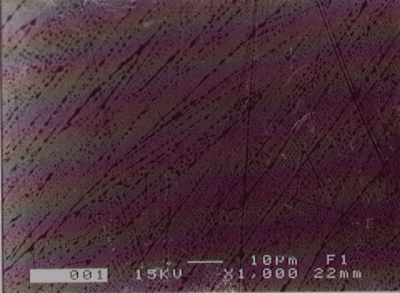 Although the abrasive material used for processing is similar in some respects to grinding and blasting materials, TAM produces an entirely different and unique surface condition. One of the reasons for this is the multi-directional and rolling nature of abrasive particle contact with part surfaces. Unlike surface effects created with pressure, or impact methods such as air or wheel blasting, TAM surfaces are characterized by a homogeneous, finely blended, abrasive pattern developed by the non-perpendicular nature of abrasive attack. Unlike wheel or belt grinding, surface finishes are generated without any perceptible temperature shift at the area of contact, and the micro-textured random abrasive pattern is a much more attractive substrate for subsequent coating operations than linear wheel or belt grinding patterns. TAM processes have strong application on certain types of parts that have critical metal surface improvement requirements of a functional nature. Significant metal surface integrity and improvement has been realized in processes with both abrasive and nonabrasive media. As a result of intense abrasive particle contact with exposed features, it has been observed that residual compressive stresses of up to 400 to 600 MPa can be created in selected critical areas. 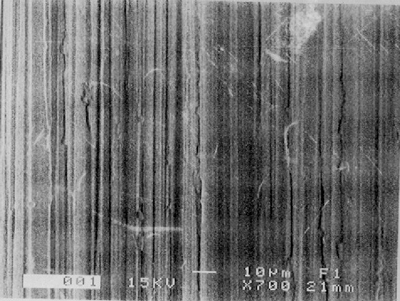 Tests performed on rotating parts for the aerospace industry that were processed with this method demonstrated a 40- to 200-percent increase in metal fatigue resistance when tested under working conditions, when compared with parts that had been deburred and edge finished with less sophisticated manual treatment protocols. 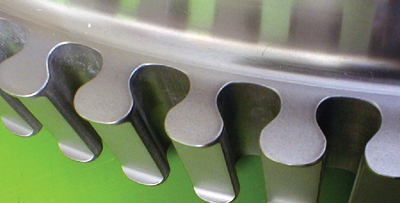 TAM processing can be especially useful when part size, shape, or complexity preclude the use of other mechanical finishing processes. TAM deburrs and develops edge and surface finishing effects very rapidly and has unique metal surface improvement and compressive stress generation capabilities. Aqueous waste treatment and disposal costs are avoided by a completely dry abrasive operation. The process is primarily intended for external surface and edge preparation, although some simpler interior areas and channels can be processed as well. Complex geometric forms can be easily accessed. 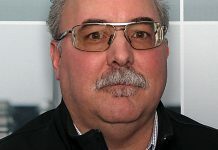 Repeatability and uniformity can be even further enhanced with PLC or computer controlled processing, and with all features of the part receiving identical and simultaneous abrasive treatment, feature-to-feature, part-to-part, and lot-to-lot uniformity on parts can be extraordinary. 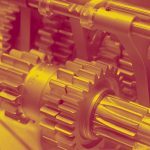 TAM processes can be easily justified in many types of applications where part size and shape considerations make applying other surface-conditioning technologies difficult. 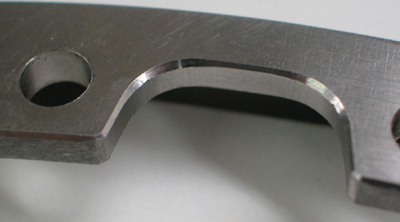 The process deburrs and develops needed edge and surface-finish requirements very rapidly. Significant process characteristics to keep in mind include: 1) very rapid cycle times; 2) a high-intensity, small-media operation that allows for access into intricate part geometries; 3) a completely dry operation; 4) metal surface improvement effects, including isotropic, negatively skewed surfaces with improved bearing load ratio and contact rigidity; 5) no part-on-part contact; 6) modest tooling requirements; 7) primarily an external surface preparation method some simpler interior channels can also be processed, and; 8) many types of rotating components can be processed nonrotational components can also be processed when attached to disk-like fixtures. is president of the Turbo-Finish Corporation. He can be reached at michael@turbofinish.com.